1. Gov. 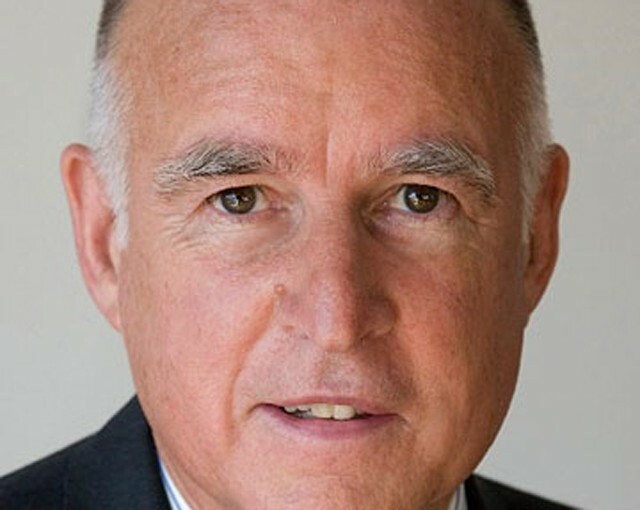 Jerry Brown and state lawmakers agreed to a watered-down version of “sanctuary state” legislation that would still allow local law enforcement agencies to cooperate with federal anti-immigration efforts, reports Taryn Luna of the Sacramento Bee$. Senate President Pro Tem Kevin de León had pushed for a stricter bill that would have created a wall between local police agencies and federal immigration authorities. But Brown sided with law enforcement groups that pushed to weaken de León’s earlier proposal. 2. California lawmakers approved legislation that would ban landlords from threatening immigrant tenants with deportation, reports Jazmine Ulloa of the LA Times$. The bill also prohibits landlords from sharing with federal authorities the immigration status of tenants and allows renters to sue landlords who violate the law. Gov. Brown has not said whether he plans to sign the legislation. 3. UC Berkeley police have decided to allow the police officer who harassed a hot dog vendor at the Bears’ game on Saturday to remain in his job during the campus’ investigation of the incident despite the fierce backlash that the controversy provoked, reports Emilie Raguso of Berkeleyside. The officer, Sean Arenas, can be seen in a video of the incident confiscating cash from the hot dog vendor’s wallet. Campus police were cracking down on unpermitted food vendors outside Cal football games. 4. Salesforce.org, the nonprofit arm of the cloud computing company founded by billionaire Marc Benioff, is donating a total of $12.2 million this year to Oakland and San Francisco middle schools to boost computer science learning, reports Jill Tucker of the San Francisco Chronicle$. 5. Environmental groups strongly oppose a plan under consideration by the state legislature that would hand over some authority over California’s power grid to nearby states, the LA Times$ reports. Proponents of the legislation claim it could save the California Independent System Operator $1.5 billion a year, but critics say it could lead to an increase in the use of coal-generated power in the state. 6. Last night’s remarkable lightning show in the Bay Area, which featured more than 1,200 lightning ground strikes, could return for an encore performance today and this evening, reports Jenna Lyons of the San Francisco Chronicle. Weather forecasters said the region could get some of the same atmospheric conditions today as last night. 7. And 25 percent of the homes in the Florida Keys were destroyed by Hurricane Irma over the weekend and another 65 percent were damaged, CNN reports. The U.S. Virgin Islands, however, may have been the hardest hit by the massive storm, with parts of the islands looking like "a bomb went off," Buzzfeed News reports. And in the state of Florida, an estimated 15 million are without power.